Today I spent the day working with guys from our church at two homes and an elementary school. We cleared land and hauled tree limbs away to the chipper. None of us were paid to be there and it was a great opportunity to serve others. One of the homes belong to a single lady who’s trees had overgrown her roof and we were honored to be able to take them out and also to clean out her gutters. When I got home, man was I dirty and sweaty! 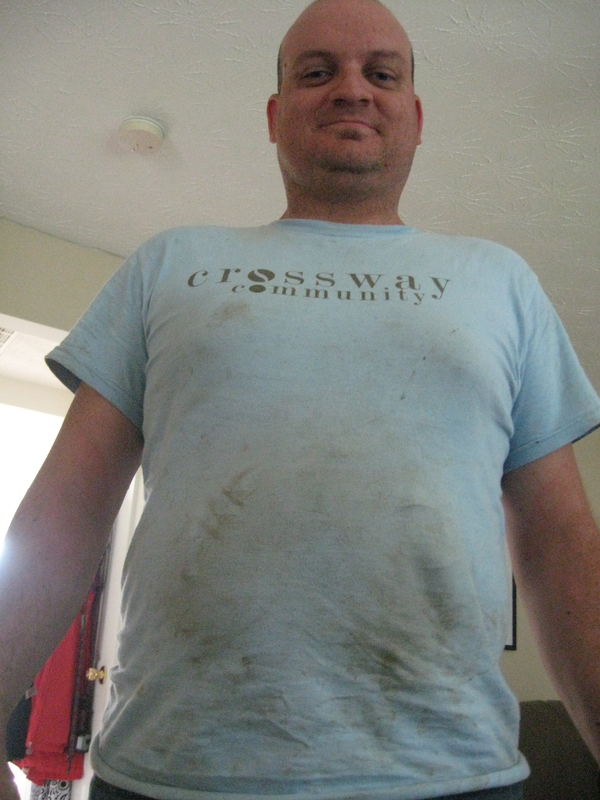 I had Melissa take this “dirty” picture of me. It was great to be able to serve and I am blessed to be apart of a church that believes in serving others. May Christ be glorified this weekend through our service! Next Where did the summer go?